America is finally reaping what it has sown when it helped NATO overthrow Gaddafi’s Libya, broadcaster and journalist Neil Clark told RT. The US government is losing its grip on Libya, Egypt and the rest of the Arab world, he said. Clark spoke with RT about the violent protests outside the US embassies in Egypt, Yemen, and Libya. RT: What's your assessment of who's behind the worst of this violence – does it seem heavily-orchestrated to you? Neil Clark: It does, actually. Remember the old saying, ‘You reap what you sow?’ The US is really reaping what it’s sowed. Let’s think back to February 2011. 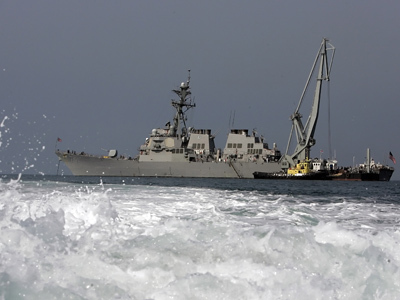 The US took part with NATO in the attack on Gaddafi’s Libya, bringing death and destruction. And they’ve created this violent situation. So while of course we condemn the attacks on the US consulate and the murder of Chris Stevens, we’ve got to put this in wider context. And this wouldn’t have happened had NATO not intervened last year. RT: Is there a sense that the government's losing its grip on an angry public in Egypt, which has been at boiling point ever since the uprising? 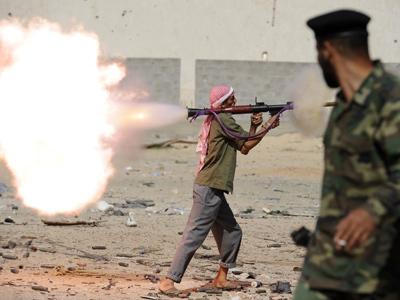 NC: The government is losing its grip in Libya, in Egypt, and across the region. And the US is the party that’s been stoking all this up. 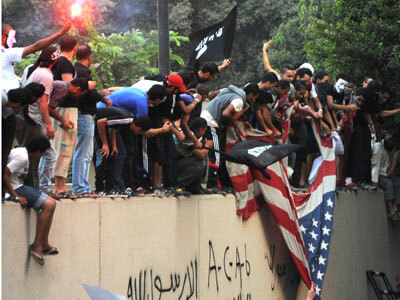 The US has been aggressively supporting uprisings across the region for its own interest and now it’s blowback time. Non-interference is the best way to go, really. RT: It's being reported that President Obama might deploy drones to seek out the mob who killed their ambassador to Libya. If it's true, what do you make of such a move? NC: What are they going to do – regime change again? We had this last year. Gaddafi was a dictator, but it was a stable country. The US and NATO decided to intervene. If we look across the globe, everywhere that NATO has intervened has been a disaster. We look at Iraq – one million people killed there. Yugoslavia. Kosovo – the ethnic cleansing of Serbs and Roma. Somalia – chaos there. Afghanistan – 11 years of war. And yet, we still get the same old people calling for intervention across the globe. When will they learn that it just leads to more death and destruction? RT: The US has invested time, money and extraordinary effort in what it sees as liberating these countries, yet it's all coming undone in a flash. Can America recover its efforts from this? NC: America has to pull back and change its course. 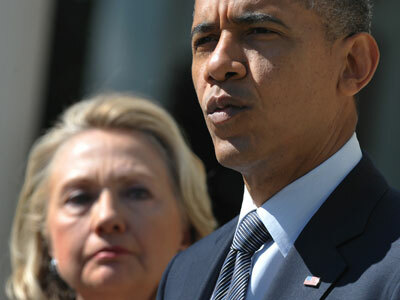 They’ve intervened in Libya and it’s been disastrous. Western multinationals are taking over the economy, of course. And it’s the same in Egypt. But ordinary people pay the price. And I think we’ve got to change our course completely now, after this. RT: What lessons are there for America's foreign policy here – by going into these countries with the intention of being a liberator, but which become controlled either by radical groups, or uncontrollable angry mobs? NC: Well it’s happening in Syria, too, where we’ve had an intervention. Of course, Syria was a relatively peaceful country 18 months ago. The US and its allies intervened there to back the opposition there. Peaceful protests turned to violent ones because of the US line. And so, we need to change this whole policy and leave other countries alone and let them sort out their own affairs. But the neo-cons are still very powerful in Washington and they’re the ones pushing this regime change agenda. So long as they have influence, all we’re going to get is more death and destruction. RT: Could this anti-American anger be enough to undermine Egypt's fragile new democracy? 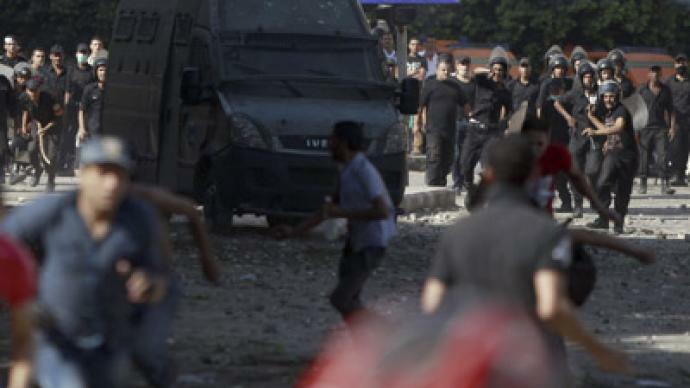 NC: People in Egypt are upset with what’s happened. They thought there would be a change when Mubarak went, but things have stayed the same. Morsi has been a big flop. People are very poor and unhappy with the way things have gone. 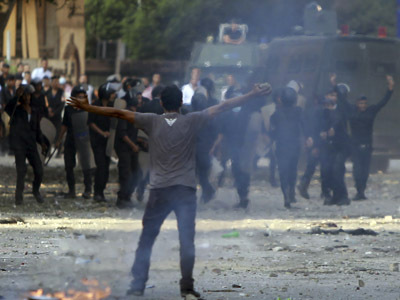 So unless there’s real change in Egypt, this will only continue.